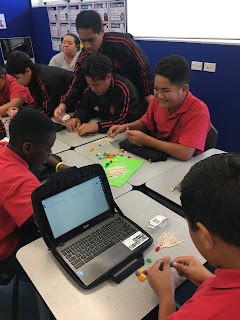 Today Room 4 Literacy did the tooth and jelly beans challenge and how to play is what we had to do was get into 5 groups and try make anything. And how to win is try get more books on your item. And who was my team was Lanzie, Zack and Troy also Me and then we lost our one wasn't strong and we only had 2 books on it and we came last also we got to eat it when it was the end of the game.